Need a Florist who can do Flower Delivery Saturday in Auckland? and YES it's still Free Delivery! Yes, we deliver Saturdays BUT there is only x1 Floral Courier Run on Saturday's so you DO need to Order Early - and YES Delivery is still FREE on Saturday across Auckland! For Same Day Flowers Delivered Saturday - Order Online before the 10am cut-off. If it's after 10am - Please Call us on 09 838 9058 before the COURIER LEAVES at 10.45am and we will do our utmost to get a flower delivery out the door for you. The FINAL COURIER RUN of the day is at 11.30am and is WEST AUCKLAND ONLY. After 11.30am? - Please Order your flowers online for Monday Delivery. You will find this is the same for all Auckland Florists on Saturday and the weekend as we all use the same Floral Courier Companies who are experts in delivering our fragile cargo. 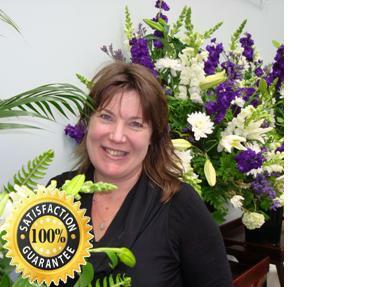 Best Blooms Florist - Our Flower Shop is OPEN 8am - 12 Noon. 1/653 Rosebank Road, Avondale Auckland. Call in for a pick up. Later on Saturday? - You may be able to pick-up a bouquet from the florists in the Shopping Malls such as St Lukes, Manukau City, Botany Downs etc where the florists are open shopping mall hours. Saturday Flower Deliveries Auckland - Order Now!